"Jogo de Corpo - Capoeira e Ancestralidade"
Agora o filme está finalizado. Our film has finally been completed ! 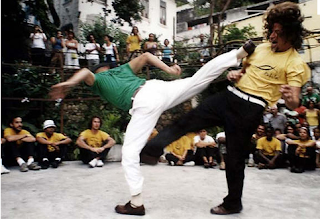 Capoeira is an Afro-Brazilian art that has taken the world by storm. It is a beautiful, mysterious, physical and spiritual practice that combines dance, combat, theatre and music. It creates a state of mind that attracts millions of people around the world. 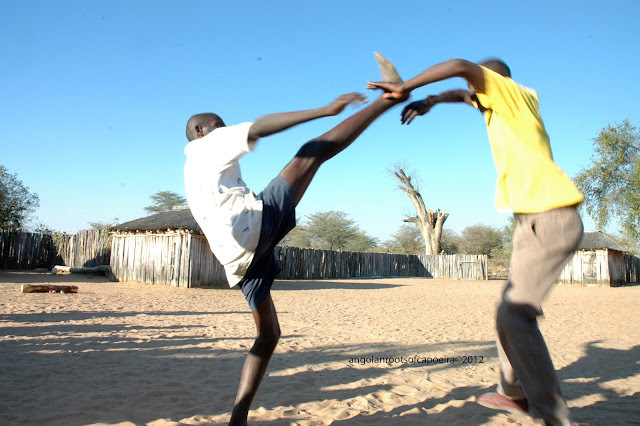 It is the only international martial art with an African heritage. 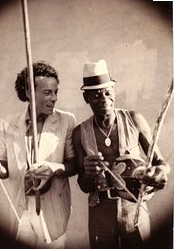 "Angolan Roots of Capoeira" follows the Afro-Brazilian Capoeira master, Cobra Mansa and his team on travels through Angola and Brazil in search of the historical roots of Capoeira. 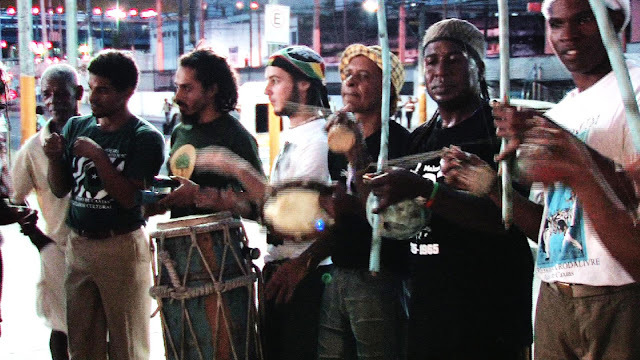 It is also a personal journey as Cobra Mansa is a descendant of slaves who were brought from Africa to build Brazil. ,.... here is a taste of some of the amazing characters who are in the film. People like Kahani who will tell fascinating stories about the combat games engolo and khandeka, Angelina who holds her family and community together by maintaining their traditions alive, Tchitula the quiet but passionate m’bulumbumba player, and you will fall in love with Angelino – the wise old man who reflects about the links between capoeira and his own combat game traditions. In Angola Cobra Mansa encounters men and women whose combat games, dances, musical instruments and traditions bear striking similarities to Brazilian Capoeira. In Brazil he meets with Capoeira masters who are influential voices of Capoeira's foundations and its African heritage. 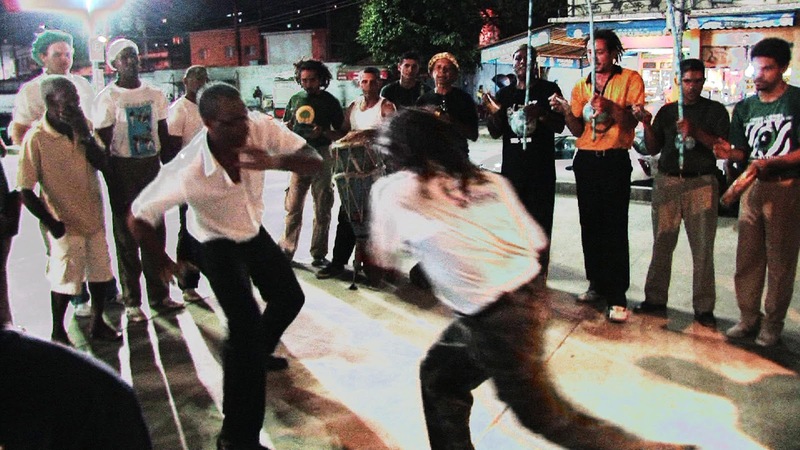 Accompanied by Capoeira historian Matthias Röhrig Assunção, and ethnomusicologist Christine Dettman, Cobra Mansa finds an Angola full of amazing characters amidst a culture rich with musical, dance and combat game traditions. 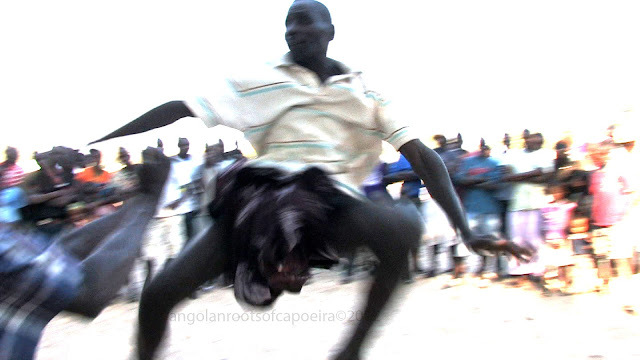 By sharing Capoeira with Angolan Engolo and Kambangula dancers and fighters and by learning their movements, the team creates a dialogue between Africa and Brazil that poetically develops themes of roots, origins, slavery, Africa, Brazil and the Black Atlantic. 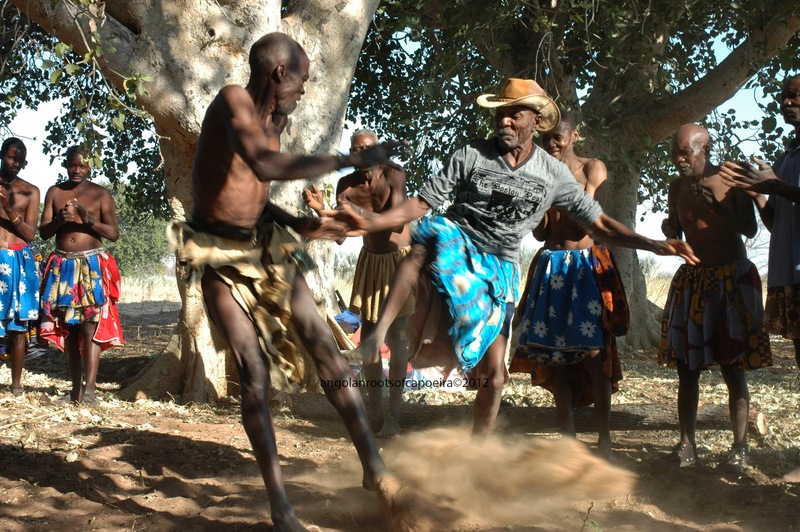 Directed by Namibian Filmmaker, Richard Pakleppa, and edited by Catherine Meyburgh "Angolan Roots of Capoeira" will be released in July 2013. 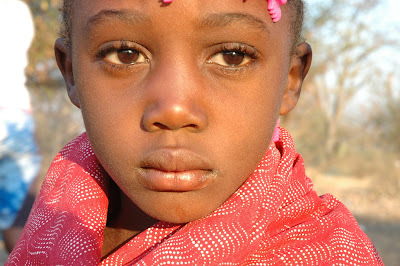 Today we want to share with you a clip from our journies to Angola. We hope you like it and encourage you to visit our crowd funding site at Indiegogo and contribute to our campaign. We have reached 40% of our goal and hope to raise the remainder of the funds we need in the next two weeks. Best Wishes and thank you all for your support ! 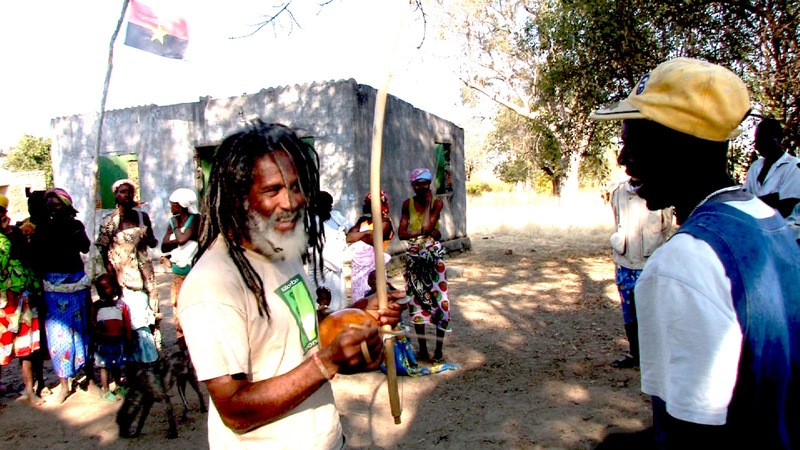 Balthazar Tchatoka plays M'bulumbumba and sings "Ove Katunga"
“My Kakunga, let’s work on the field! 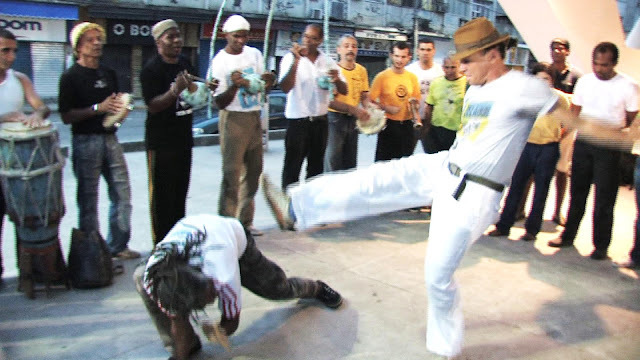 Nestor Capoeira supports Angolan Roots of Capoeira film project. Nestor Capoeira apoia o projeto do filme Raízes Angolanos da Capoeira.